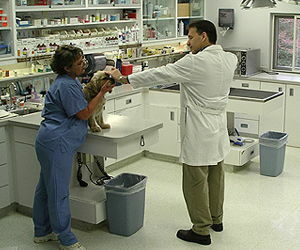 Dr. Krakowski became the third Cary Veterinarian to start an independent hospital in 1983. 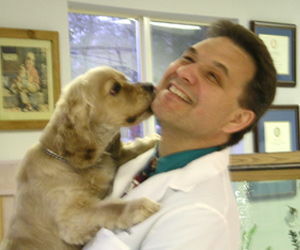 He has been the proud companion to a large number dogs and cats in that time and enjoyed every moment with them. His current family includes two children, a Portuguese Goat Herding Dog (Ollie) and a North Carolina Feist (YoYo). 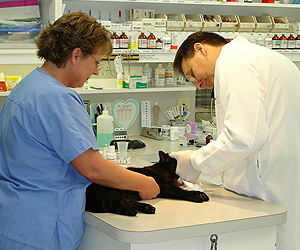 He started the “Little Angels” kitten adoption program and the Therapy Pets visitation program for eldercare facilities. 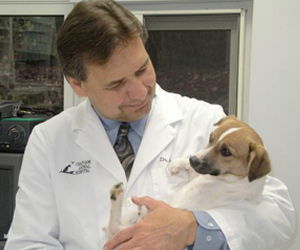 He is a Charter Member of the Cary-Kildaire Rotary Club and two time past President of the North Carolina Academy Of Small Animal Medicine.